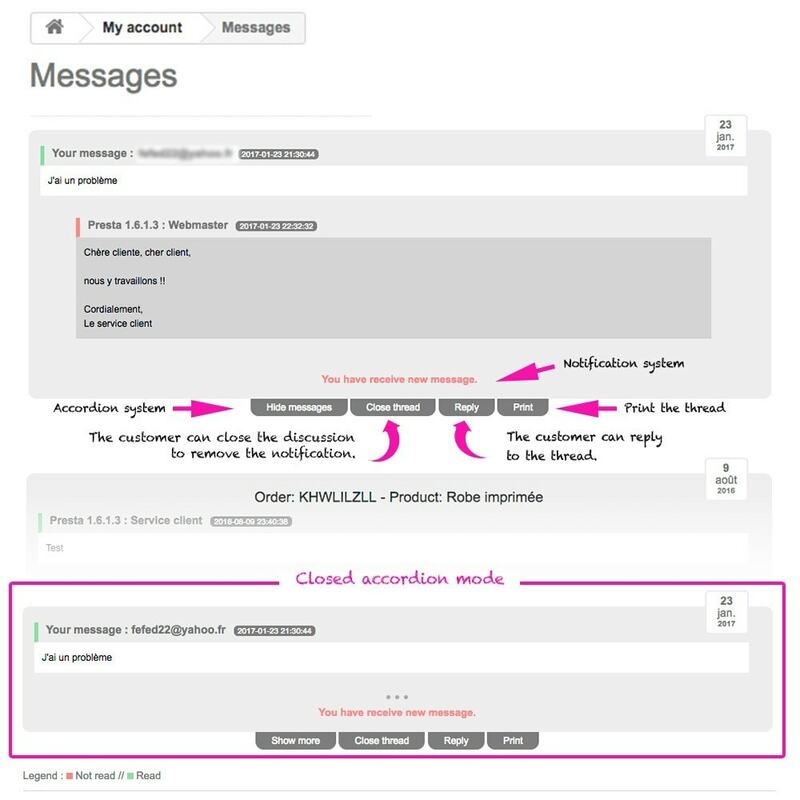 Your customers do not receive your reply emails? You want your customers to see its discussions with the customer service? 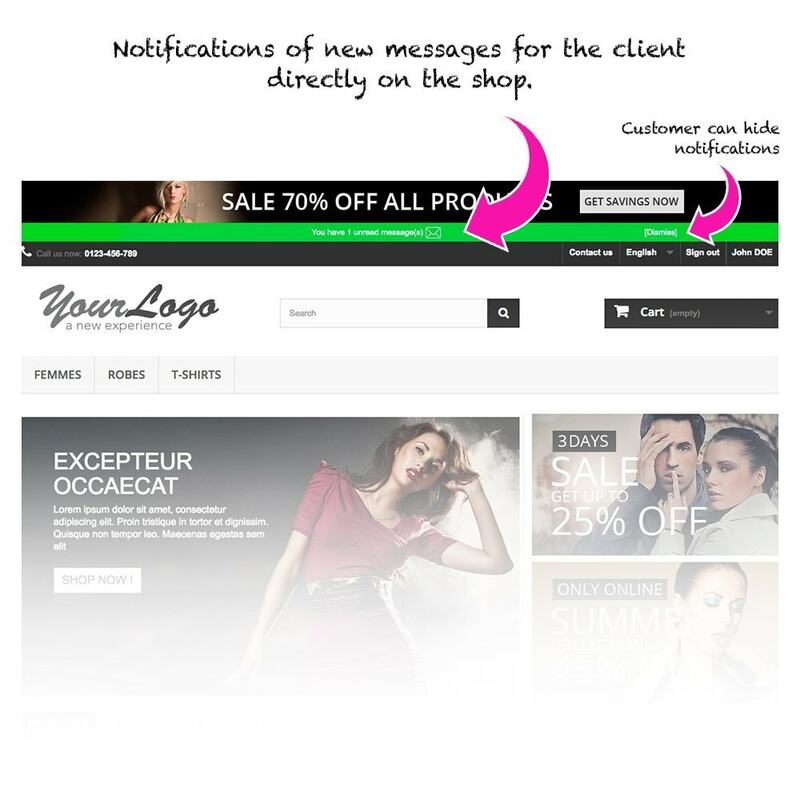 You want that your customer be alerted for a new message? 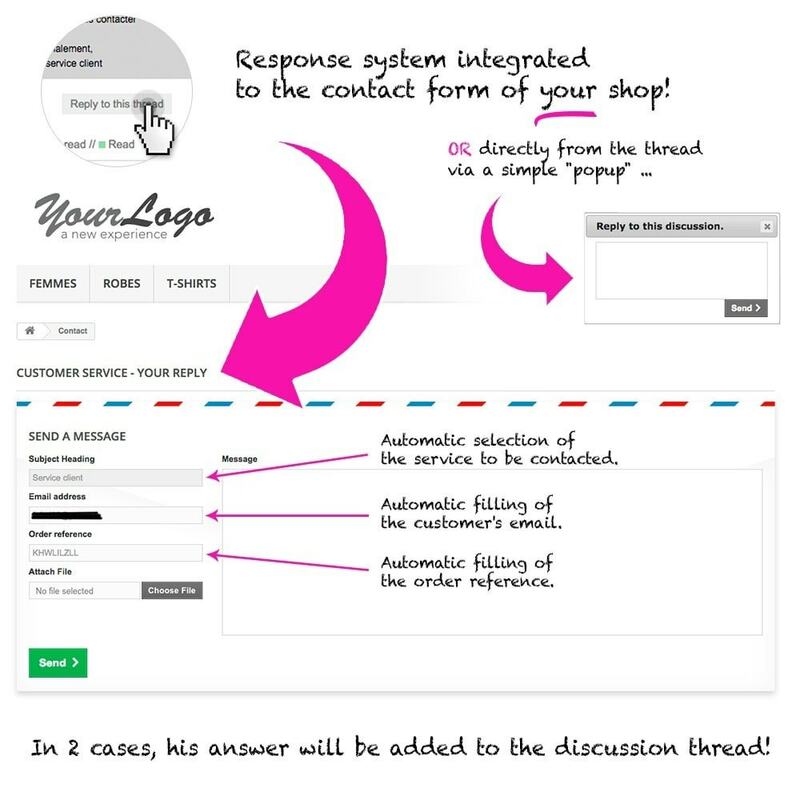 With this module you can display the discussions with the customer service directly to the customer's account and the customer can reply from the website! The customer can then know if his request has been processed and may consult the answers. You can display or hide left and right column in message list. You can add a button to print each discussion. An option allow the client to respond even on a closed discussion. 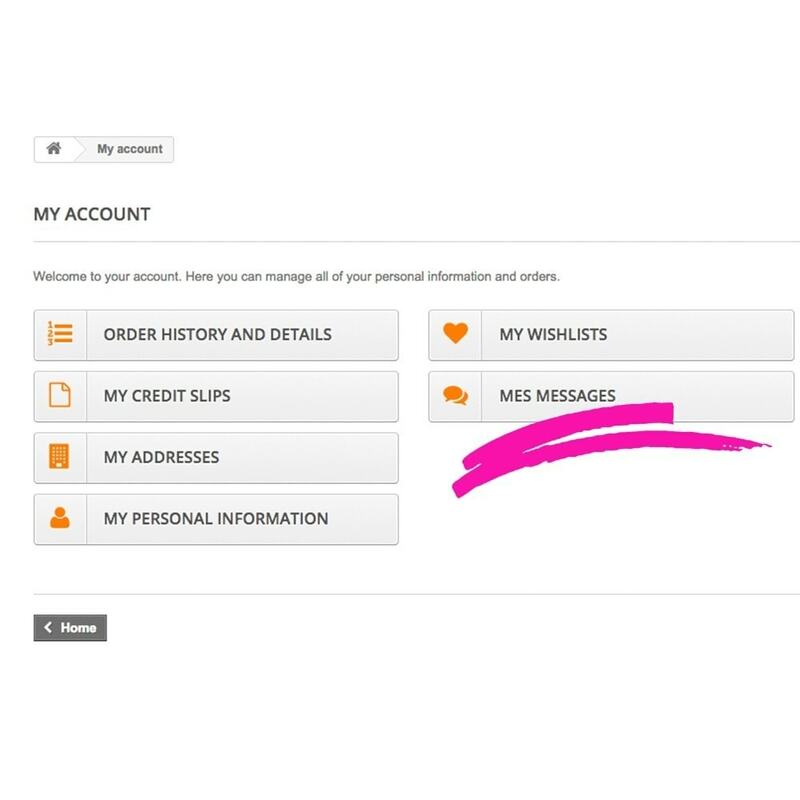 Your customer can check your answers at any time by logging into their account. SPAM emails received and deleted will still be available. 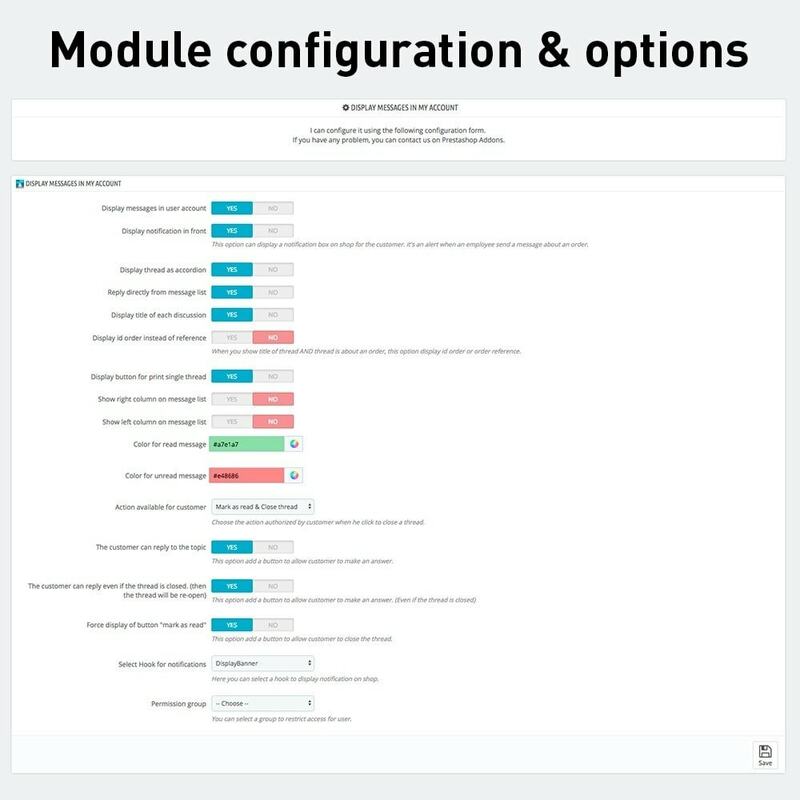 This module allows your customers to register and activate the product warranty when purchased. Online registration of the product warranty is reassuring way for the customer to ensure the support of its product during the period of this warranty.